Share this product and receive a $1.57 sharing discount. 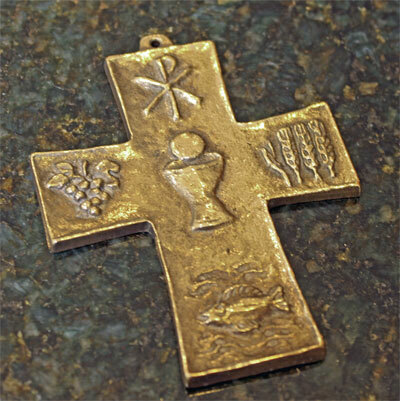 This is a cross celebrating Eucharist. 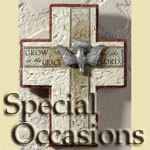 It is a wonderful gift for First Communion. Jesus gives himself to us in the Eucharist, through which he urges us to become gifts to one another in nurturing, serving, and caring for each other. The Eucharist Cross is from the art studio of Butzon and Bercker, Germany.